Fame. Fortune. Love. Murder. Who’s out to get America’s most beloved female sharpshooter? 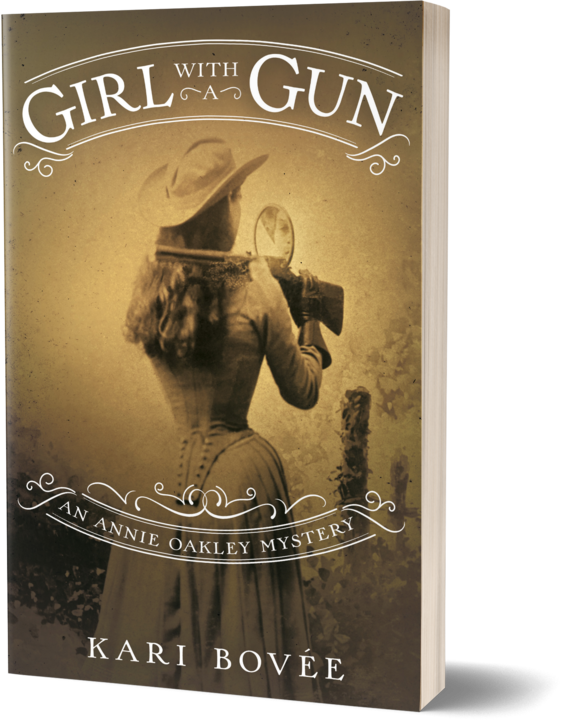 Subscribe here to get the first two chapters of Girl with a Gun-An Annie Oakley Mystery. Fifteen-year-old Annie Oakley is the sole supporter of her widowed mother and two siblings. An expert markswoman and independent spirit, she hunts game to sell to the local mercantile to make ends meet instead of accepting a marriage proposal that could solve all her problems. After a stunning performance in a shooting contest against the handsome and famous sharpshooter Frank Butler, Annie is offered a position in the renowned Buffalo Bill’s Wild West Show. Finally, she has a chance to save the nearly foreclosed family farm and make her dreams come true. But then her Indian assistant is found dead in her tent, and Annie is dubious when the local coroner claims the death was due to natural causes. When another innocent is murdered, Annie begins to fear the deaths are related to her. And to make matters worse, her prized horse, Buck, a major part of her act, is stolen. Annie soon discovers that the solution to her problems lies buried in a padlocked Civil War trunk belonging to the show’s manager, Derence LeFleur. And so, with the help of a sassy, blue-blooded reporter, Annie sets out to find her horse, solve the murders, and clear her name.